Solution: The first day, half of 100 = 50 leaves turn orange. The second day, half of 50 = 25 leaves turn orange. So, now there are 50 + 25 = 75 orange leaves. The remaining 25 leaves are still green. Question: There are 1,024 leaves on a tree. On the first day, half of the leaves fall to the ground. Each day that follows, half of the remaining leaves fall to the ground. On what day will there be only 1 leaf left on the tree? Solution: To solve this problem, we find the number of times we need to halve the leaves in order to get down to 1. On the first day, half of 1,024 = 512 stay on the tree. If we continue the process, we find that 256 are left on the tree the second day, 128 the third day, 64 the fourth day, 32 the fifth day, 16 the sixth day, 8 the seventh day, 4 the eighth day, 2 the ninth day, and only 1 leaf left on the tree the tenth day. Question: One turkey weighs 14 pounds and 12 ounces, and another turkey weighs 15 pounds and 4 ounces. What fractional part of the total weight of both turkeys is the lighter turkey? Solution: A pound is 16 ounces. So, the lighter turkey weighs 14 × 16 + 12 = 236 ounces. The heavier turkey weighs 15 × 16 + 4 = 244 ounces. So, the turkeys weigh 236 + 244 = 480 ounces in total. As a fraction, the lighter turkey weighs 236/480 of the total weight of both turkeys. We can reduce the fraction by dividing both the numerator and denominator by 4 to get 59/120. Question: There is a 0.5% chance of snow in Seattle and a 75.5% chance of snow in New York. What is the percent chance that it will snow in either Seattle or New York, but not both? Solution: The chance of snow falling in either place but not both is the sum of the probability it’ll happen in each place minus the probability it’ll happen in both places. 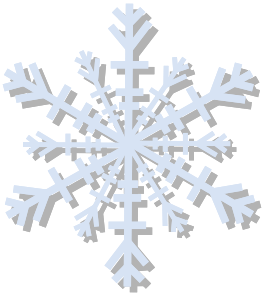 The sum of the probabilities that snow will fall in each location is 0.5% + 75.5% = 76%. The probability that snow will fall in both places is twice the product of each location’s probability of snow, which is 2 × 0.5% × 75.5% = 0.755%. So, the probability of snow falling in either place, but not in both, is 76% – 0.755% = 75.245%. 8 users comments for " Problems of the Week- November 19 to November 23 "
Guys, check your addition of 0.5% and 75.5%. It’s not 80%. It’s 76%. Your answer should be 75.6225%. The solution has been updated. Thanks for catching that! In the solution for Middle School a pound, not a turkey, is 16 ounces. The solution has been updated. Thanks, Bob! Is the calculation for the Algebra and Up question correct? If we subtract out the 0.3775%, this should give us the probability that it snows in Seattle, New York, or both. The subtraction eliminates the double counting from the intersection since both 0.5% and the 75.5% includes a subset where it snows in the other. To do snows in Seattle, New York, but not both, we would need to subtract out another 0.3775%. When I do this as P(Snows in Seattle, No snow in New York) + P(No snow in Seattle, snow in New York), I get 75.245%. Not sure if I am looking at this wrong! Hey, Suren! You’re correct. We skipped a step and forgot to double the product of the probabilities. We’ll be fixing this shortly. We’ve made all of the corrections to this set of problems. Thank you David Geary, Bob D’Orazio, and Suren Srinivasamoorthy for your corrections.